The historic Mary Ruth House will be remodeled as part of a workforce housing development on Galena Street in Frisco that will add eight affordable housing units. Copper Mountain pitched the idea of doing the construction in exchange for bed credits, but several members of the town council seemed highly skeptical of such an arrangement. The Frisco Town Council on Tuesday night appeared to throw cold water on a nascent development partnership with Copper Mountain Resort, which had offered its construction savvy to get a long-awaited workforce-housing project off the ground. In exchange, Copper hoped to earn eight credits toward the affordable-housing construction quota imposed on it by the county. But to several council members, that seemed like piggybacking on more than three years of the town’s planning work. “They might be saving us money, expertise and all that, but to try to get out of building their eight units and using ours for that doesn’t leave a good taste in my mouth,” said Councilman Dan Kibbie. The Galena Street development would add eight affordable housing units, four of which would be reserved for town employees. Copper Mountain president and COO Gary Rodgers said the resort merely wanted to offer its expertise to the town while also meeting some of its obligations. Town staff had initially approached Copper’s development director, Graeme Bilenduke, for advice, which later led to the idea of teaming up on the project. Under the terms of any deal, staff said, the town would still have the final say in how the units would be allocated. No deal has been drafted, and Tuesday’s presentation was only a pitch meeting. But the cool reception the idea got from the council seemed to underscore a countywide tension in tackling the housing crisis; while both governments and businesses have a strong mandate to build, collaboration between the two can cause uneasiness. Keystone’s Wintergreen workforce-housing project, for instance, won approval just this week after months of back-and-forth wrangling between the county government and Vail Resorts. 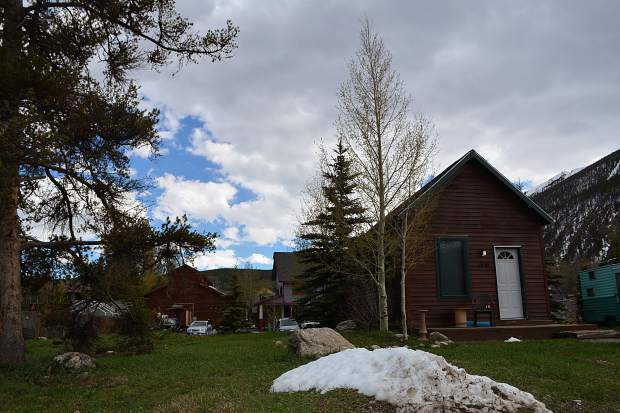 And on Tuesday night, the Breckenridge Town Council reluctantly approved a 20-unit deal on one its affordable housing projects with Colorado Mountain College — another big player vying for a piece of the housing pie. “I know this is on the top of the mind for everybody in the county right now and we’re just trying to participate wherever we can,” Rodgers told the Frisco council. While town staff members stopped short of making a recommendation, it seemed they would have welcomed that participation. The project has been advancing, with construction drawings and a final pitch to the planning commission penciled in for July. But building this season — once considered a possibility — is now a forgone conclusion. “We do not see a way at all to get it in the ground this year,” town manager Randy Ready said. While partnering with Copper wouldn’t change that, he said, it would still be a cheaper and faster way to advance what has been a lingering priority for the council for years. That resonated with mayor pro-tem Hunter Mortensen, who said he was intrigued by the idea and eager to find a way to move the project along faster. But Kibbie, along with Councilwomen Deborah Shaner and Kim Cancelosi, were deeply skeptical of bringing in Copper, which has its own priorities and obligations to the county government. Mayor Gary Wilkinson and Councilwoman Jessie Burley asked several questions but didn’t indicate a clear position. The fact that Copper would be getting credit for the four units reserved for town employees was a sticking point for Cancelosi, in particular. “That’s not resolving the housing crisis that is brought on by the ski industry and that’s the part that I can’t wrap my head around,” she said.